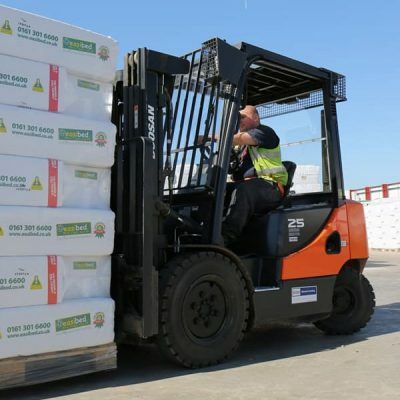 As a market leader in premium logistics services, InBond has a reputation for providing high quality warehousing and document management services to some of the biggest names in the UK. 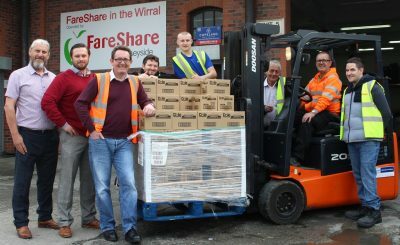 Serving the likes of Tetley’s, NHS, Next, KP Snacks and Fujifilm, the company has a high level of customer service and efficiency to maintain. 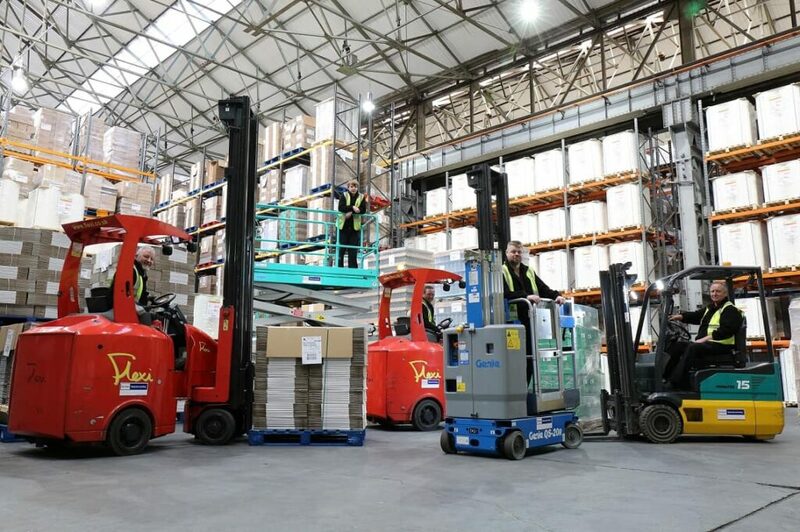 So, when InBond were in the market for a new fleet of forklifts and access machinery, Windsor Materials Handling began a quest to find the best equipment to serve the narrow aisles and high racking at their Stockton-on-Tees facility. 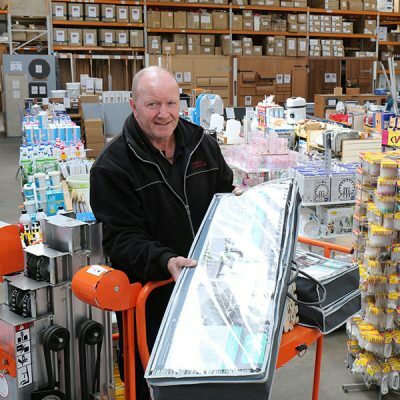 Kevin Hazeldine, operation and facilities manager at InBond, said he had a clear idea in mind of what they needed, and Windsor was able to deliver. Over the past 40 years, Windsor Materials Handling has grown from representing and being the exclusive supplier of the Komatsu forklift truck product range into an independent materials handling company that is able to provide an unbiased consultative approach for any application. The racking at InBond’s facility towers at 12.2 metres high in some places, while in other areas it stands at 8.6 metres. Coupled with extremely narrow aisles, it took vigorous planning to source machinery fit for purpose. 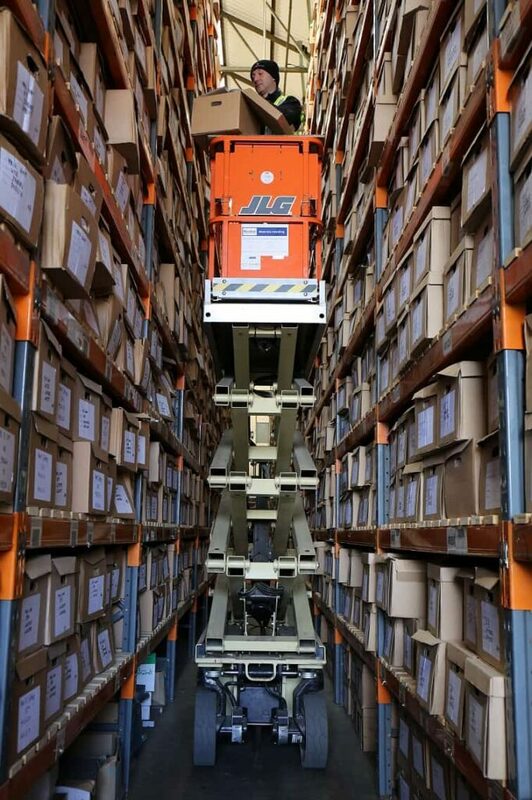 After careful consideration, Windsor supplied the firm with a mix of access equipment, including scissor lifts from JLG, QuickStock lifts from Genie, and forklifts from Flexi and Komatsu. 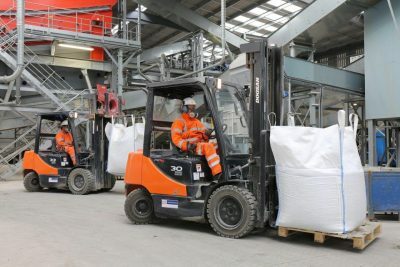 InBond purchased four forklifts – two Komatsu and two Flexi – while the rest of the fleet were rented from Windsor along with a service contract. 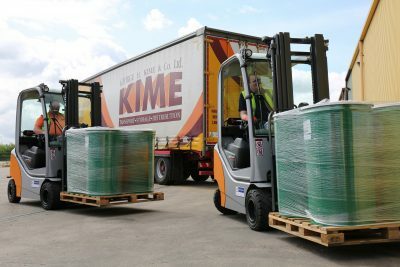 Kraig Gray, Branch Manager at the Washington location of Windsor Materials Handling, who has a six year-long working relationship with InBond, was pleased to see the equipment was well-received. Windsor operates from twelve branches across the UK, offering materials handling and access equipment, for sale, hire and maintenance. Established in 1977, the business is now the UK’s leading independent supplier of Komatsu, Kalmar and Doosan forklifts, Baumann sideloaders, Atlet warehousing and JLG access equipment.